Friends, how are we just a few days from Christmas?!? I feel like every year goes by faster and faster, and there’s no getting away from it. The kids get older, and busier, and life gets crazier, and Christmas comes more quickly. Christmas is possibly my favorite time of the year (except for the part about it being cold) — I love listening to the crackle of the fireplace in my sweats with a cup of hot chocolate, and sharing good food (and lots of it!) with family and friends. It can be a hectic time, that’s for sure, but there doesn’t seem to be another time of year that brings people together like Christmas does. And for us Canadians, since Thanksgiving was already on October 10, we have two and a half months to look forward to Christmas! I actually love having Thanksgiving earlier in the year, because it just means I have extra time to enjoy Christmas baking and decorating. Gimme ALLTHECOOKIES. I wanted to share something other than holiday desserts here in the month of December, but I just get so sidetracked by the holiday baking! 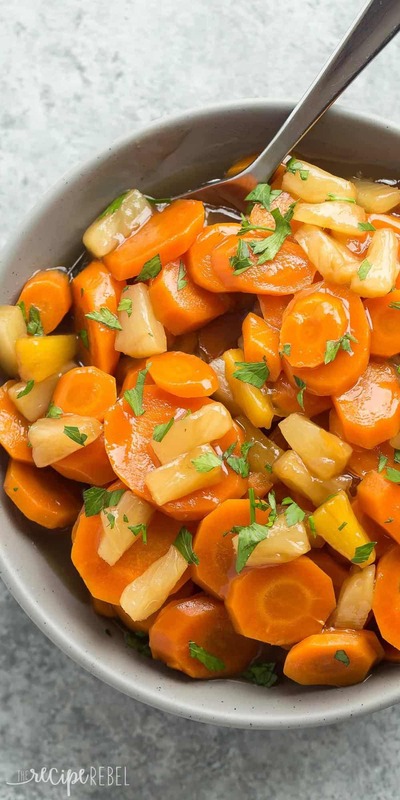 Glazed carrots are one of my side dishes, and I originally had a different variation planned (I shared these Honey Orange Glazed Carrots last year), but then I was browsing through an ancient Betty Crocker cookbook (I think it’s called “Come Home to Dinner”), and I saw Pineapple Glazed Carrots. What a brilliant idea! 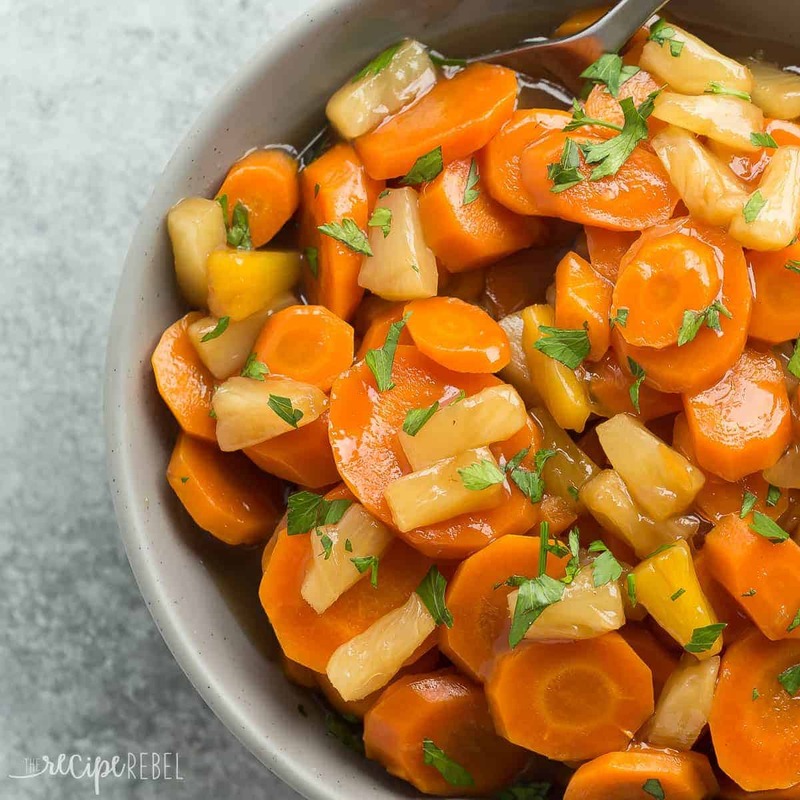 Pineapple and carrots are the perfect match — you see them together everywhere! Smoothies, muffins, cake, cookies…. but rarely carrots in a pineapple glaze. It had to happen! 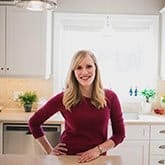 My recipe is different than Betty Crocker’s (basically, I took the title and ran), and one of our favorites to date! They make such a great (so easy!) side dish for the holidays… or any day! In a medium bowl, combine pineapple with juice, sugar, vinegar, salt and corn starch until combined. 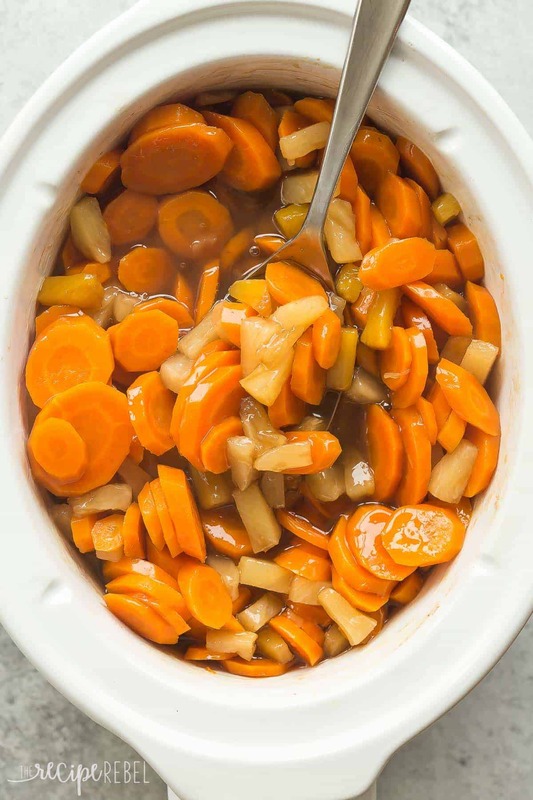 Add carrots to a 2.5-4qt slow cooker. Pour pineapple over top and stir well. Cover and cook on low for 5-6 hours or high for 3-4 hours until tender. Serve. 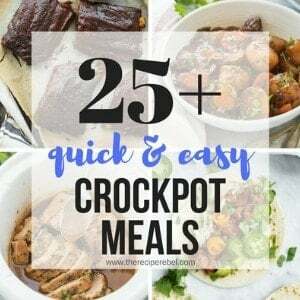 *The cook time will depend on your slow cooker. 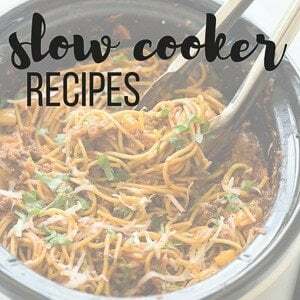 Some are hotter than others, and a larger slow cooker may cook more quickly. I cooked mine in a 2.5qt slow cooker for 3 hours. You have me wishing I was sitting in my sweats in front of a fire place right now! It’s a little cold here today, but no snow to be found and it’s making it not quite feel like Christmas this year. 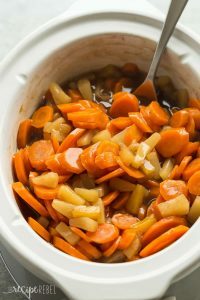 I am always down for Christmasy food though and I love these pineapple glazed carrots! I bet they taste amazing! Thanks Izzy! I think they’re one of my favorite versions! I know…HOW is it already almost Christmas?! 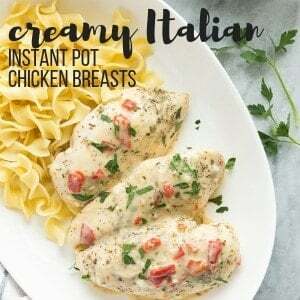 I LOVE the looks of these, because I never have room in my oven or on my stove-top…these look amazing! Well, I’m preeeeeeeetty sure I’ve just found the only way I’m gonna be able to carrots from here on out. Oh my gosh, Ashley you make these carrots look SO pretty and irresistible! Swooning over here. I too love P & C combo and this sounds delish! I also love carrot raisin salad! So this should be a dream! Hi Ashley! Carrots are one of my favorite vegetables, but I don’t like them raw. Same goes for green peppers. I make sweet carrots using brown sugar and butter. These sound delicious, carrots and pineapple are perfect together! No wonder my favorite cake is carrot cake! I don’t eat many veggies raw! I am a little picky that way, but I try to make up for it by getting them in everywhere else. Especially around the holidays when there are so many goodies around! Christmas is one of my favorite times of the year, minus the snow and cold, too! I can’t believe we’re less than a week away. Where has the time gone?! These carrots sound delicious to serve for the holidays, or any time, really! Love the pineapple flavor in here, Ashley…so creative! Thanks Gayle! I feel like I have been SO out of it (everything, really. Lol!) and this whole Christmas this weekend thing is blowing my mind.